Obesity may have an effect on the structure and function of children’s feet that may ultimately become permanent and irreversible in adulthood. As the rate of overweight and obese children increases, so do foot problems, as excessive weight is a burden to the developing foot and ankle. According to the World Health Organisation, obesity is one of the main serious global problems in the 21st century. Overweight and obesity are defined as abnormal or excessive fat accumulation, 10-20 per cent above the desirable body weight for the child’s age, gender, height and build. One in four European children are overweight. In Malta, the occurrence of increased weight in childhood is increasing drastically. Thirty per cent of all seven to 11-year-old children in southern Europe were overweight in 2005, while in Malta this amounted to 35 per cent. 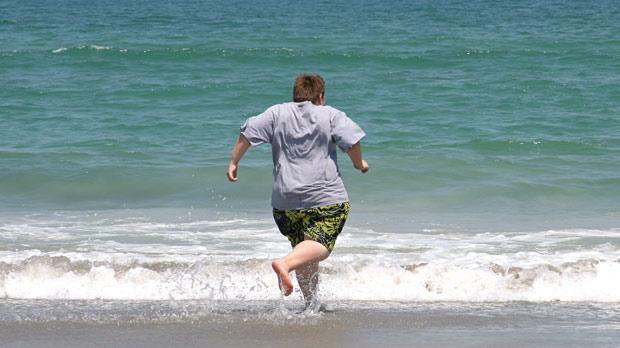 There is also a high risk that an overweight child becomes an obese adult later on in life. Overweight and obesity in adults is associated with metabolic disease such as diabetes, which is also highly prevalent in the Maltese population, and cardiovascular disease, among others. The effects of excess weight and obesity on the feet are striking. In particular, excessive weight and obesity results in structural burden to the developing foot and ankle. For example, structural problems such as flat feet are more common in obese children. Painful symptoms may include pain in lower limb and foot muscles and joints, while obese children are more prone to foot and ankle injuries, including fractures. Moreover, through a vicious circle, children who have suffered or are suffering from lower limb pain are also less likely to embark on physical activities which are required as part of a dietary regime to decrease weight. Excessive mass has an effect on the way the foot and the lower limb function during walking (lower limb/foot biomechanics). Obese children go through a significant decrease in single support phase and an increase of the mechanical work done by the hip. Plantar pressure generated during walking has been reported to be higher in overweight children. It has been suggested that children who generate higher plantar pressure are less active. A reduction in weight leads to a significant decline in plantar pressure under all regions of the foot. The developing child is prone to growing pains. In many instances, this is normal and part of the developmental process, but children who are obese are more prone to growing pains, which are often more pronounced. These include intermittent muscular pains of both legs, which occur at night-time. Obesity may have an effect on the structure and function of children’s feet that may ultimately become permanent and irreversible in adulthood. These changes lead to pathologies and malfunctions that in turn lead to a decline in physical activity. Lifestyle changes such as physical exercise and appro-priate diet and education for children is necessary to avoid future problems of obesity, including the aforementioned foot consequences. A multidisciplinary approach involving a nutritionist/ dietician, podiatrist, physiotherapists and a physical training coach may be necessary in order to overcome the challenges faced by children who suffer from obesity or excessive weight. This article was written by fourth year podiatry students on behalf of the Malta Health Students’ Association.